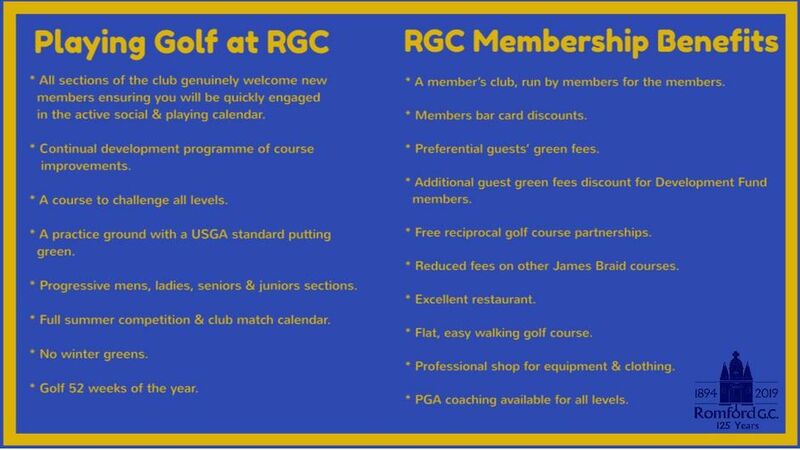 Thinking of joining a golf club? Then why not consider Romford. “ We like to think it’s a wonderful club and an extremely friendly one as well, where everyone is welcome. It has an excellent balance of old and new, maintaining golfing traditions and at the same time using a modern approach where appropriate. You can find all aspects of golf on this one course, where natural surroundings and the wildlife are in abundance”. JOIN ALONG SIDE YOUR GOLFING FRIENDS WITH OUR 4 FOR THE PRICE OF 3 OFFER! !